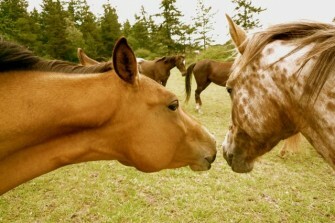 Located on beautiful Lopez Island, Washington, we breed, raise, and train Nez Perce horses. We discovered this breed while searching for ideal mounts to carry us on our wilderness adventures: we were looking for horses who were energetic and sure-footed, calm and intelligent, capable of traveling many miles in a day and for many days at a time on available feed, who loved and trusted us enough to stay with us, given the chance to leave. We’d owned and enjoyed Mustangs, Thoroughbreds, Arabians, Quarter Horses, Tennessee Walkers, Morgans, Appaloosas and POAs and considered countless other breeds, but none had quite the combination we were looking for. We kept searching until we found the perfect breed for us. What we found was the Nez Perce Horse. The endurance, substance, and athleticism of these horses suits them for almost any discipline. Their intelligence and love for humans is extraordinary; no breed we have owned or known is easier to teach, or more delightful to live with. Their superior thrift, good health, and hardiness make them easy and economical to care for. We acquired our first horses in 2006, from Nez Perce breeders on and around tribal land in Lapwai and Culdesac, Idaho. Since then our herd has grown. With over 15 sales in the past three years, it now numbers around 25. 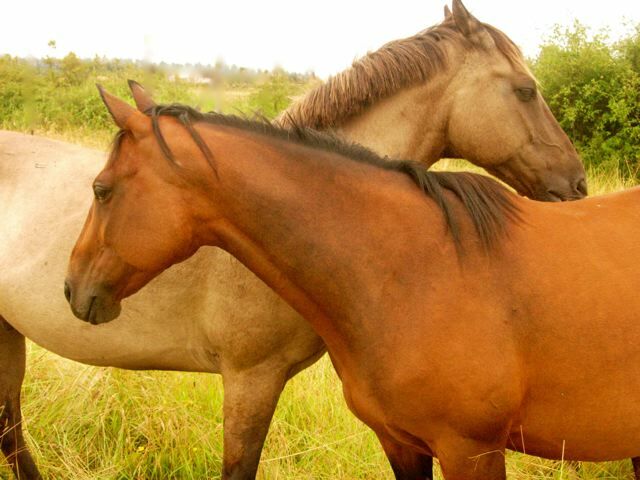 We have a large selection of young horses to fall in love with. Come meet them!